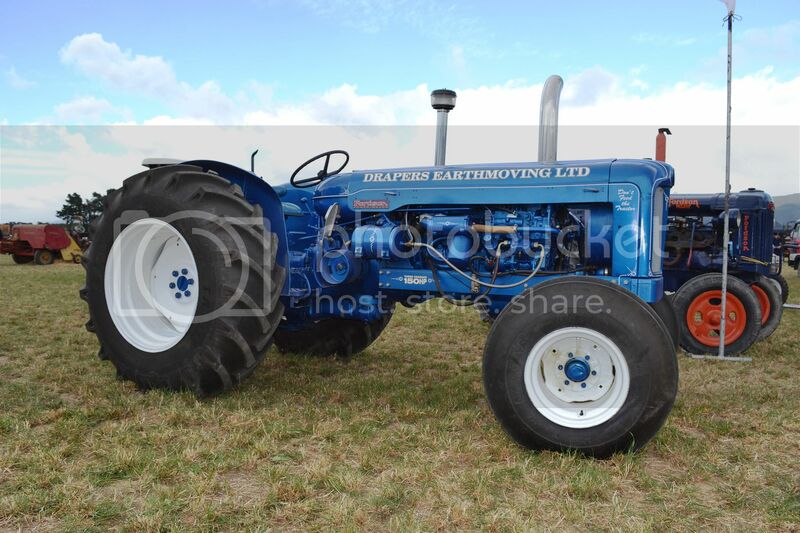 According to those who know more than I do about tractors, the UFO (Unidentified Farming Object) seen at the Vintage Harvest event in Carterton, is a 4WD Massey Harris built around the 1940s. 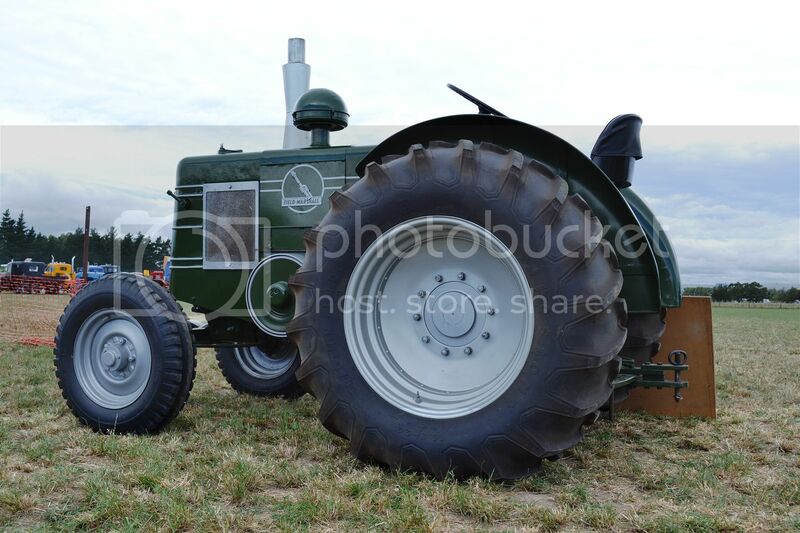 Apparently they were originally manufactured with steel wheels, so this one has been converted. 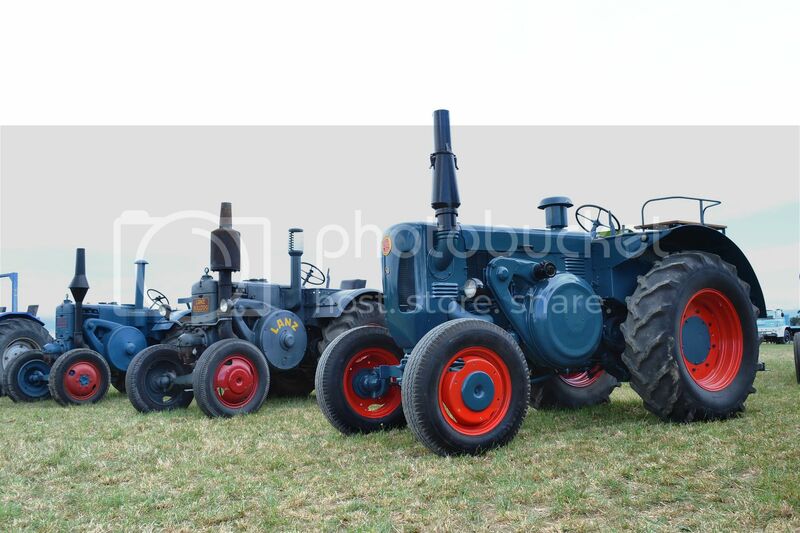 They were not very successful as the axle housings were prone to failure, due to not being built heavily enough. Here is a pristine example I found elsewhere on the net. 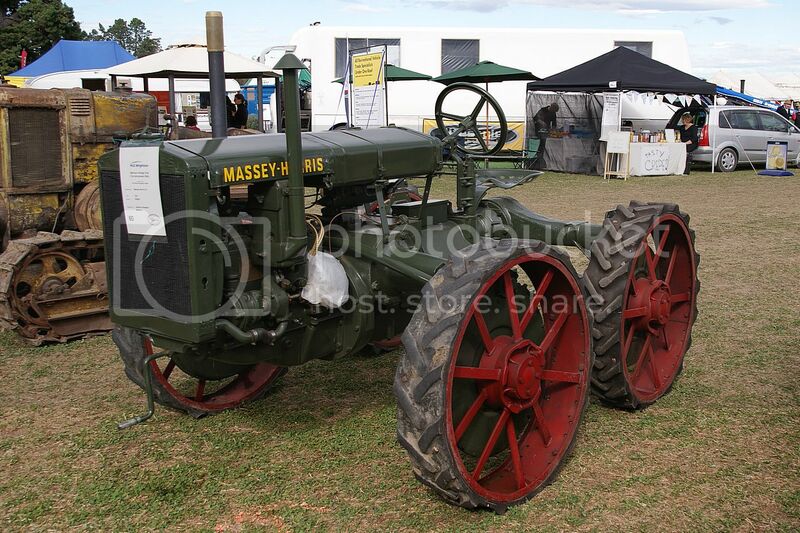 They were known as the Massey Harris GP and were introduced in 1930. 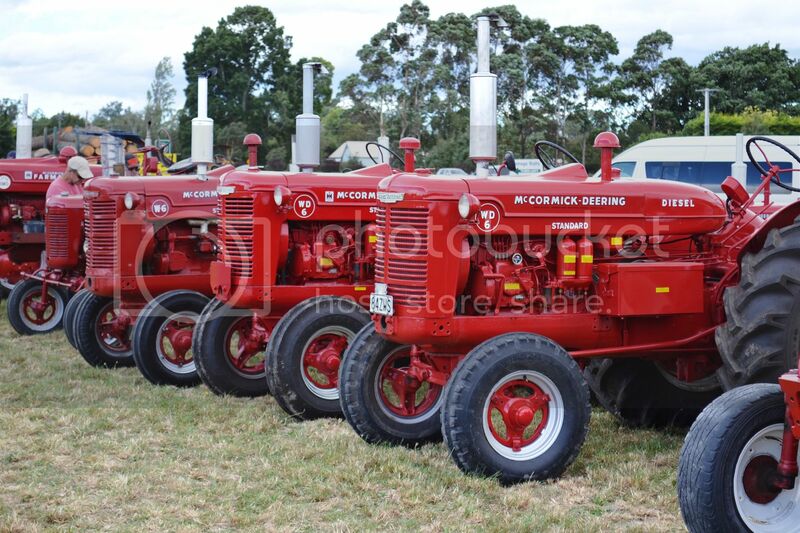 McCormick-Deerings in petrol and diesel variants. From the days when there was no need to rush. 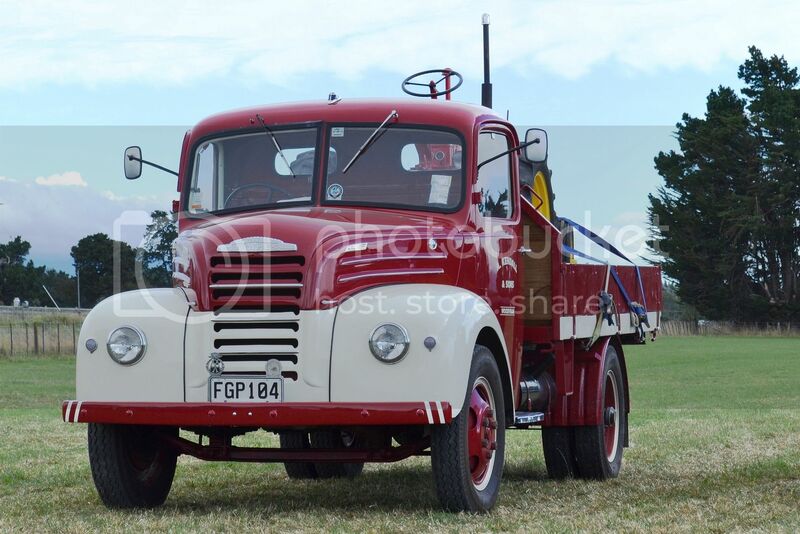 Front view of the 1955 Thames shown in a previous blog. 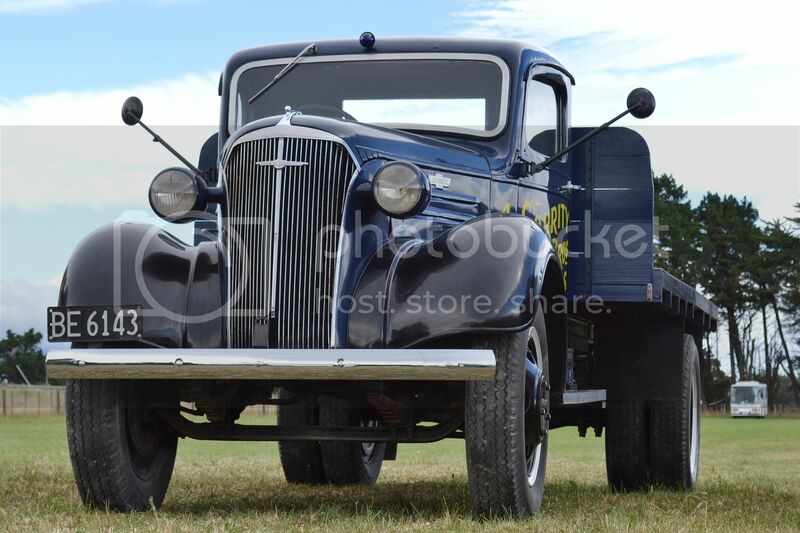 Garrity Brothers' very nice 1937 Chev. 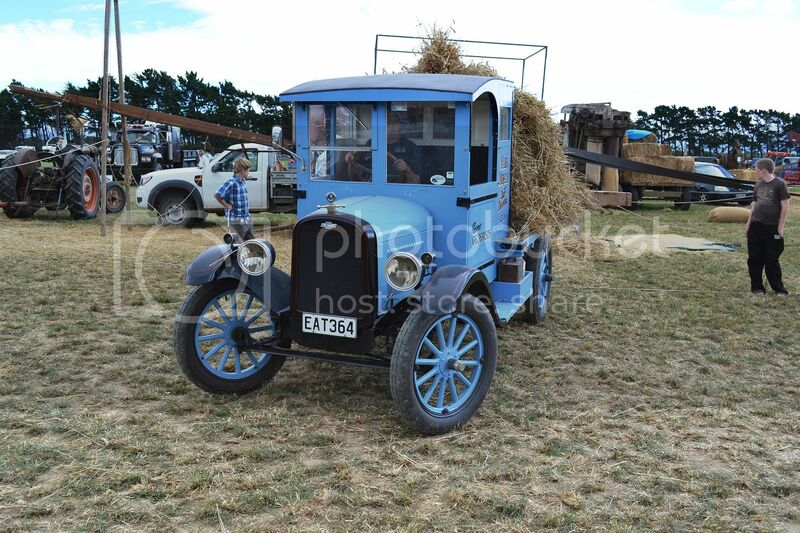 1925 Chev Superior was earning its keep carting barley to the threshing machine. 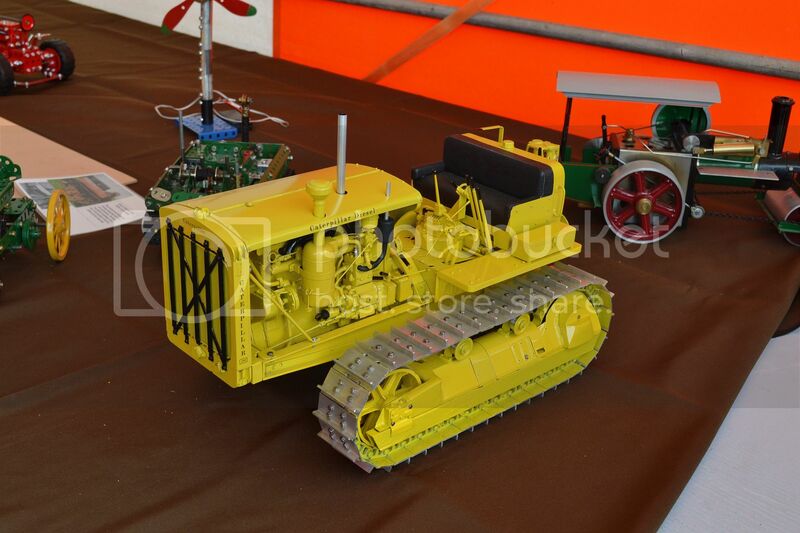 Clever little Fordson model made from Meccano and in correct colours. 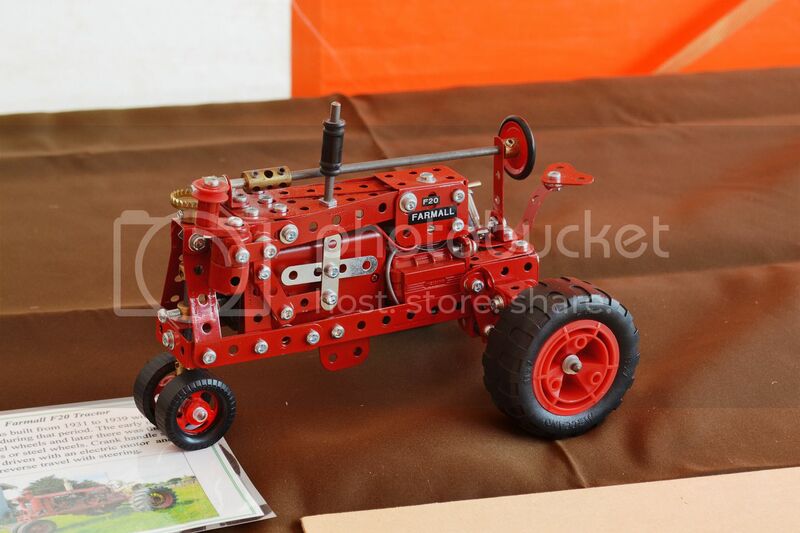 ...and this Meccano Farmall, also in correct livery. 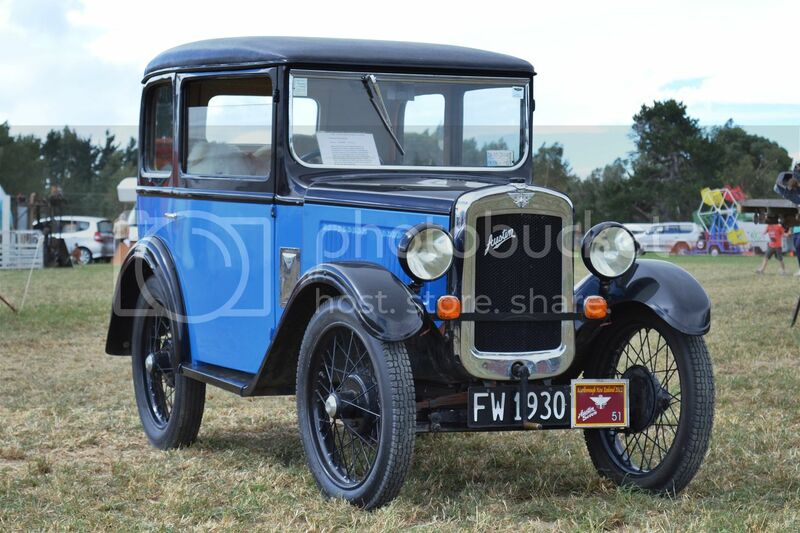 Carefully restored 1930 Austin seven. 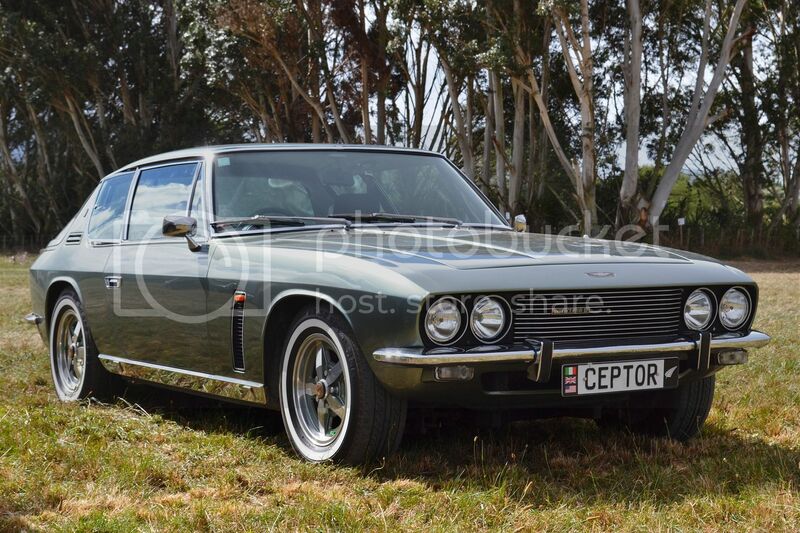 In the car park was this awesome 1973 Jensen Interceptor III, with its 7.2 litre V8. 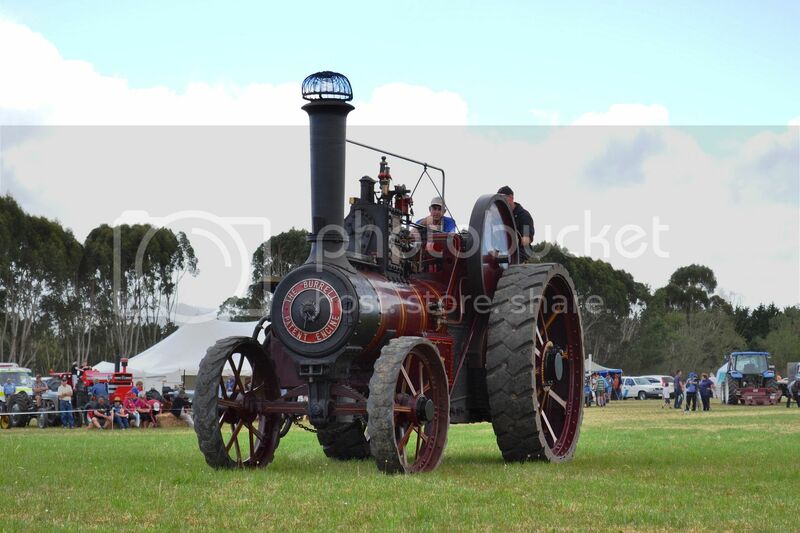 This single cylinder Marshall just kept idling all day. 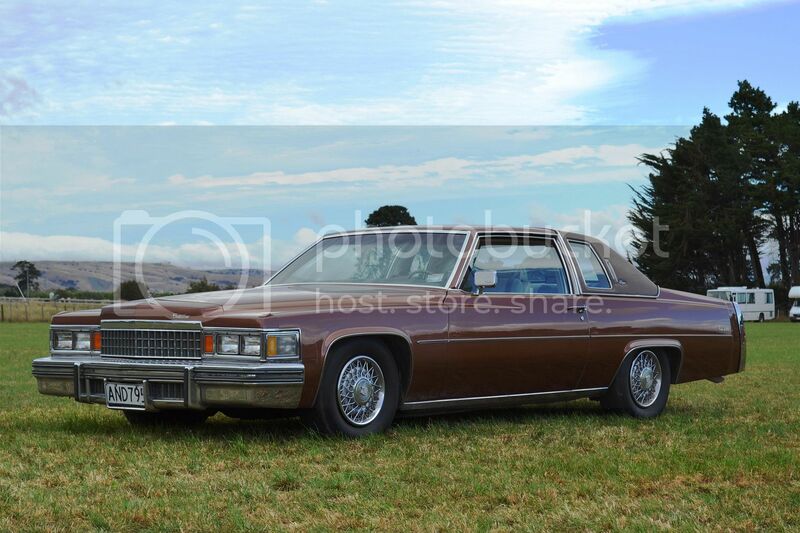 Local car collector, Joe Morris, decided to give his 1978 Cadillac an outing. 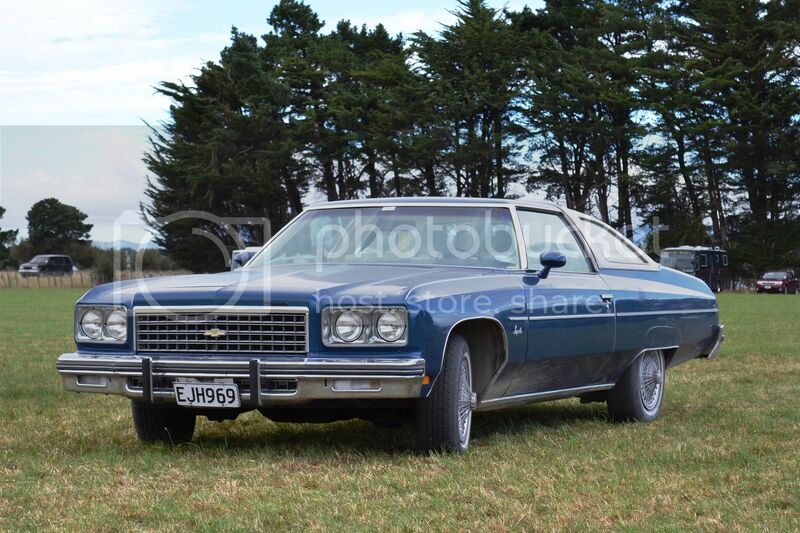 Nearby was this 1976 Chev Impala. 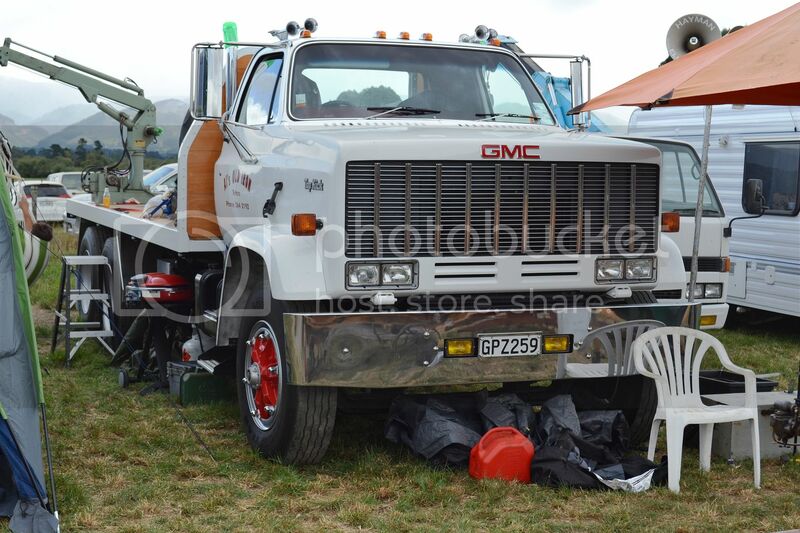 Alan Mayo of Te Horo brought along his 1980 GMC Top Kick, which he initially discovered sitting in a field in New Mexico. 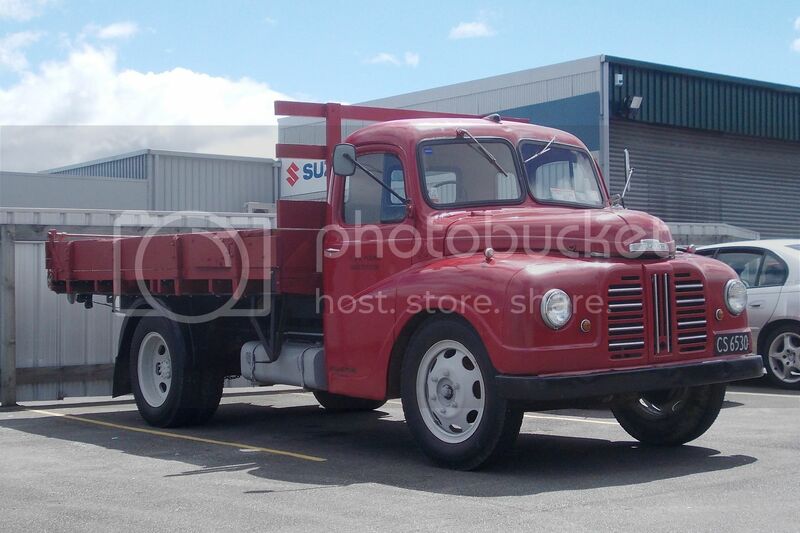 After much renovation, including conversion to RHD, he had himself a very useable heavy duty truck. 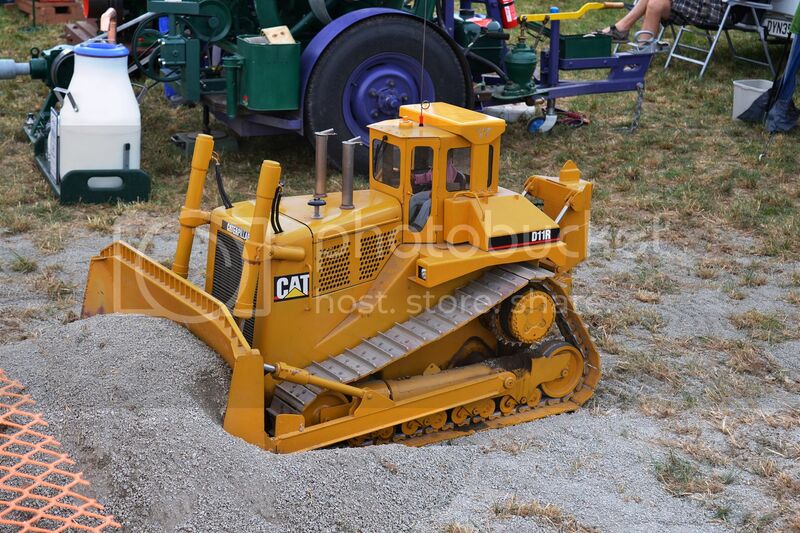 Alan also demonstrated his 1:6 scale Cat D11R, which he built himself. 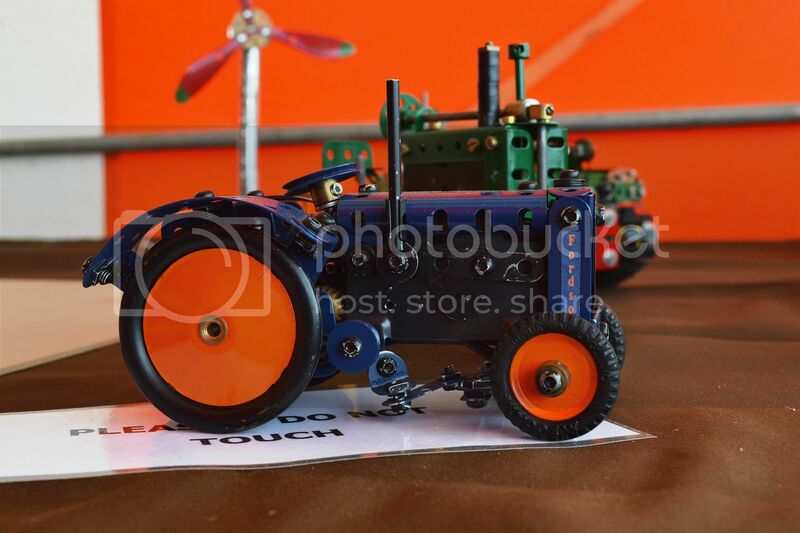 Powered by 2 mobility scooter motors, it can perform all the functions of the real thing by radio control. Alan is obviously a very talented man. 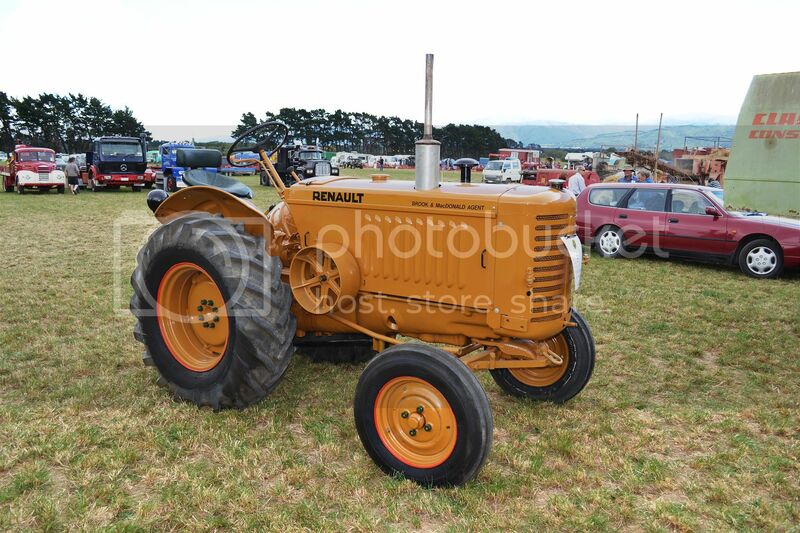 Nice bright little Renault tractor. 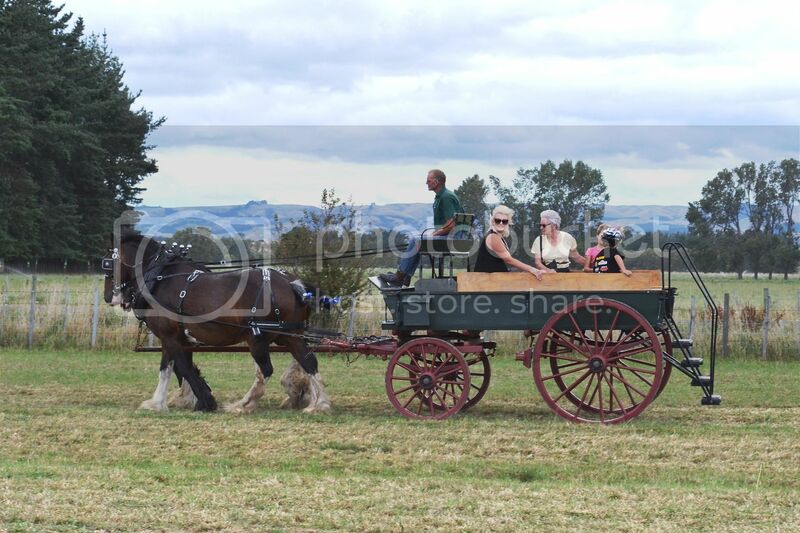 but it appears the young man on board can't get by without his modern technology. 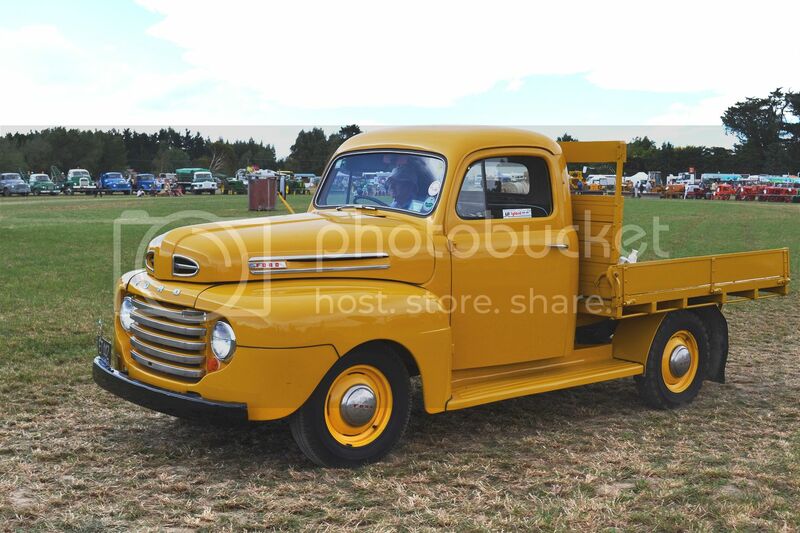 Ford Bonus in AA yellow. 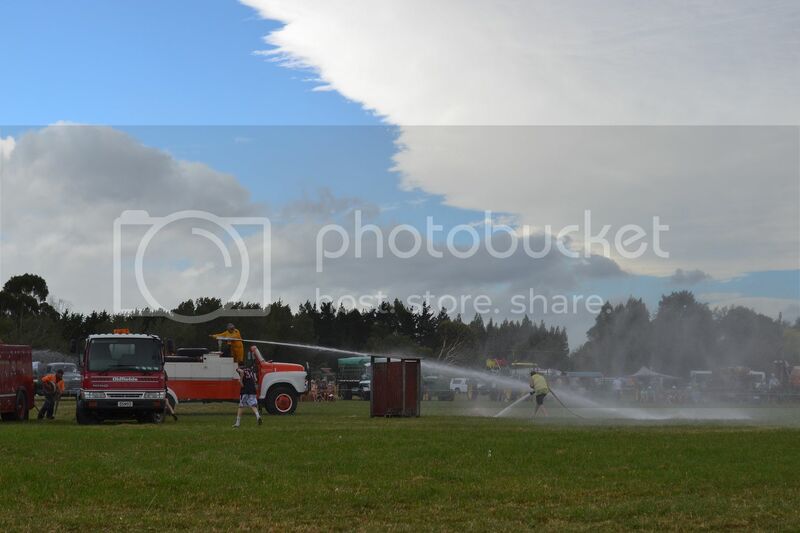 The fire appliance demonstration turned into a high pressure water fight. 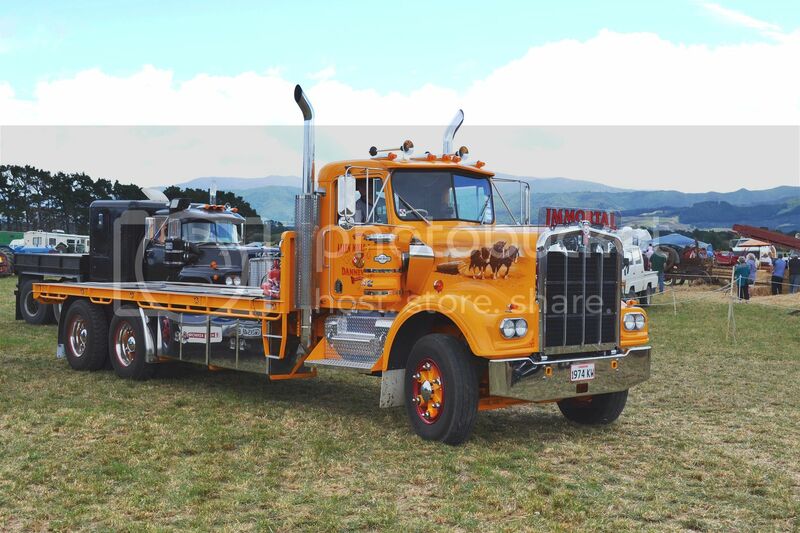 This Kenworth has had many dollars spent on her to look this good. Even the rear view is impressive. 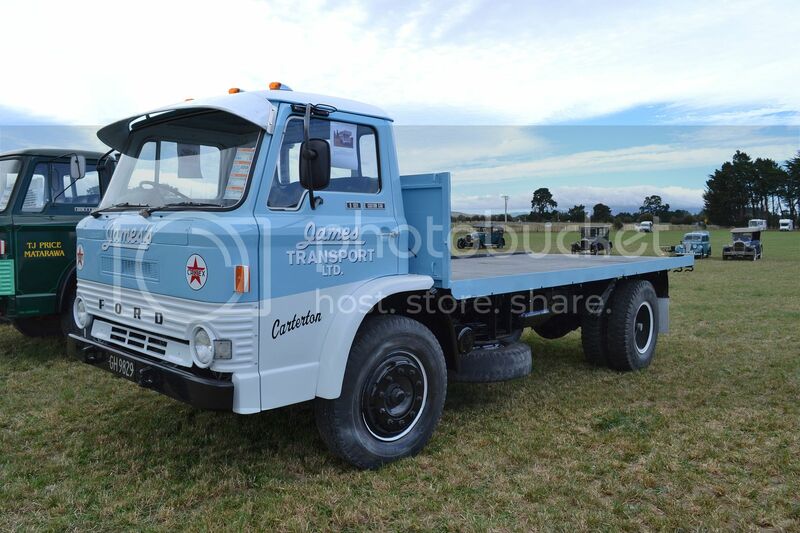 1976 Mack R686RST with big sleeper box and very small deck. 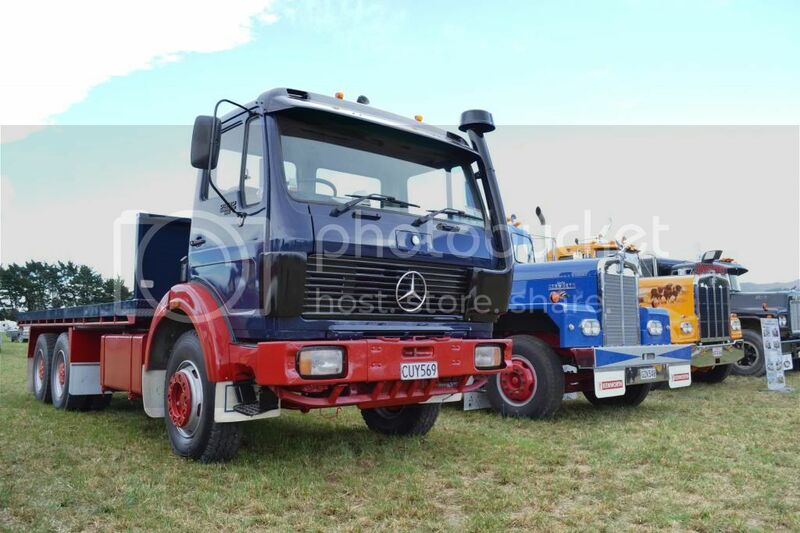 1982 Mercedes Benz 2632 with its mighty V10. 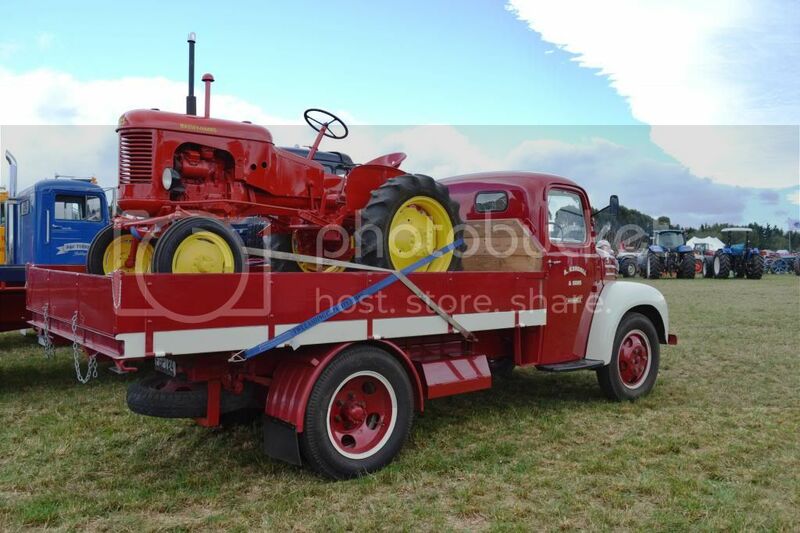 Smart old '55 Thames with a load of Massey Harris. 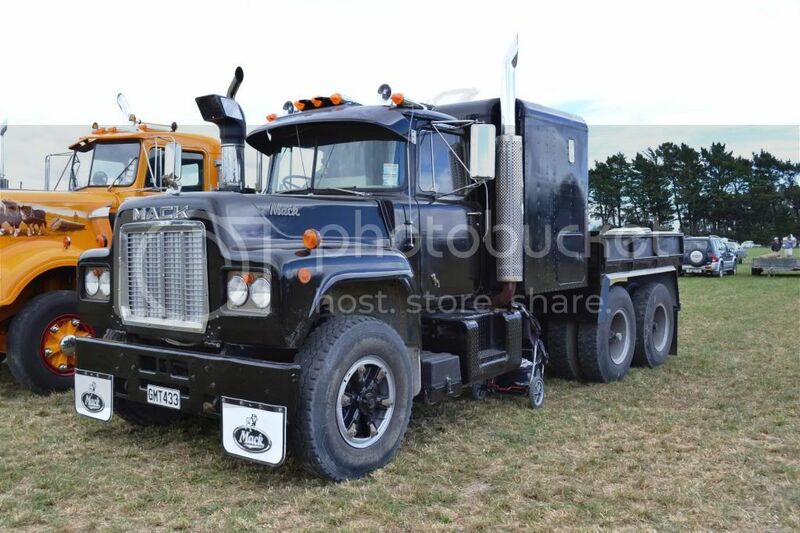 Mike Tatham's '79 Mack FR712RSTand similar looking '81 Leader A8-3406. 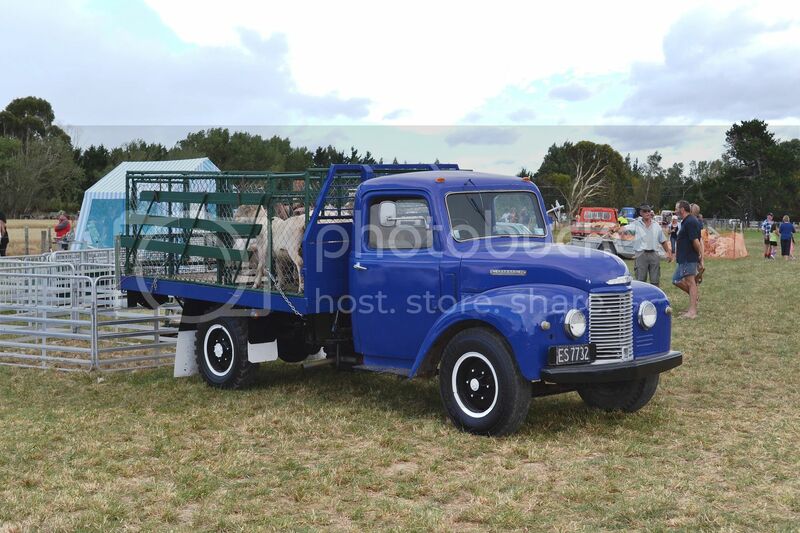 D series Fords appear to be popular restoration pieces. 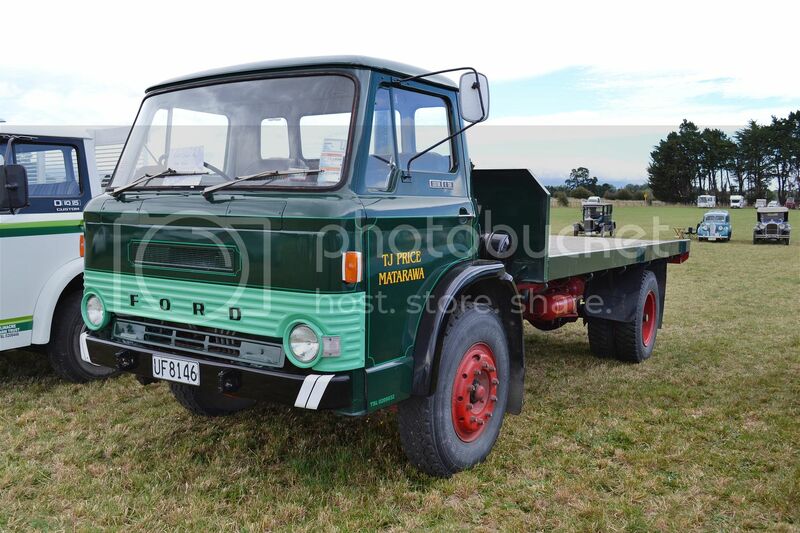 This example, a D1311 from 1972. 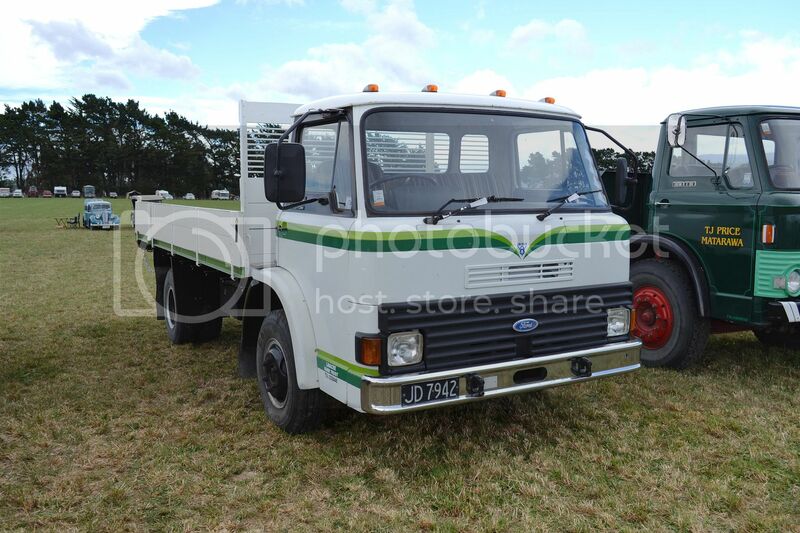 Neat little 1978 D0912 with 351cid Ford V8 power. 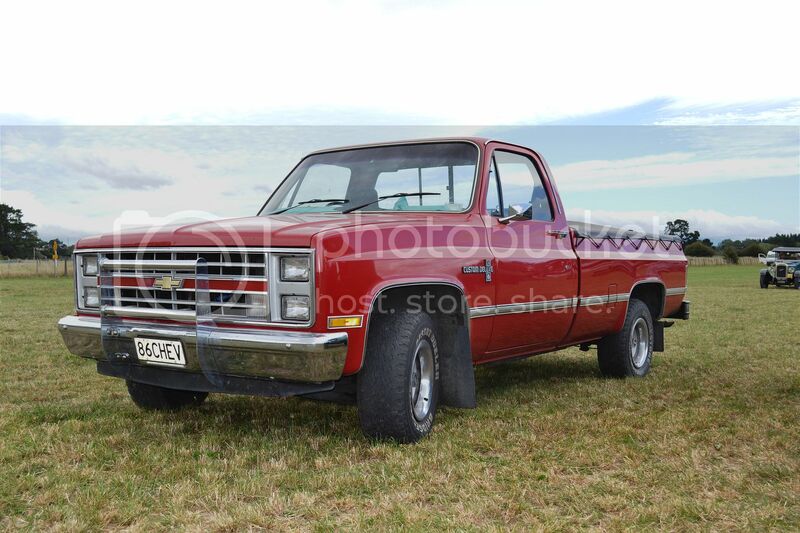 From 1986, a Chev C10. 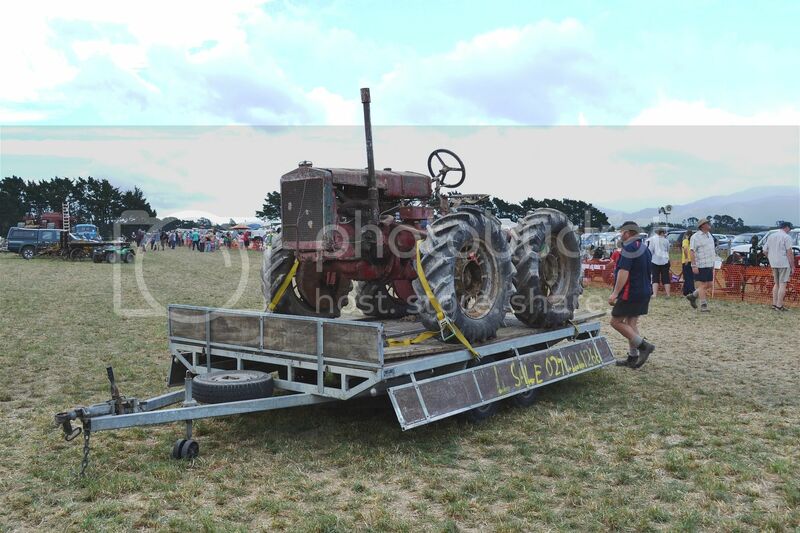 The Wairarapa Vintage Machinery Club's Harvst Rally was held in Carterton this weekend. Due to other commitments I could only attend on Saturday afternoon, so missed some of the events. 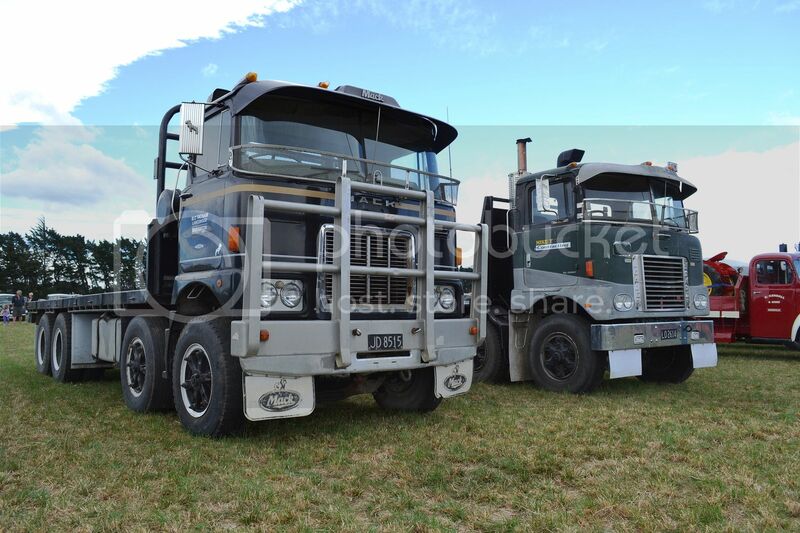 Unfortunately many of the trucks on display went on a run and I didn't see them at all. 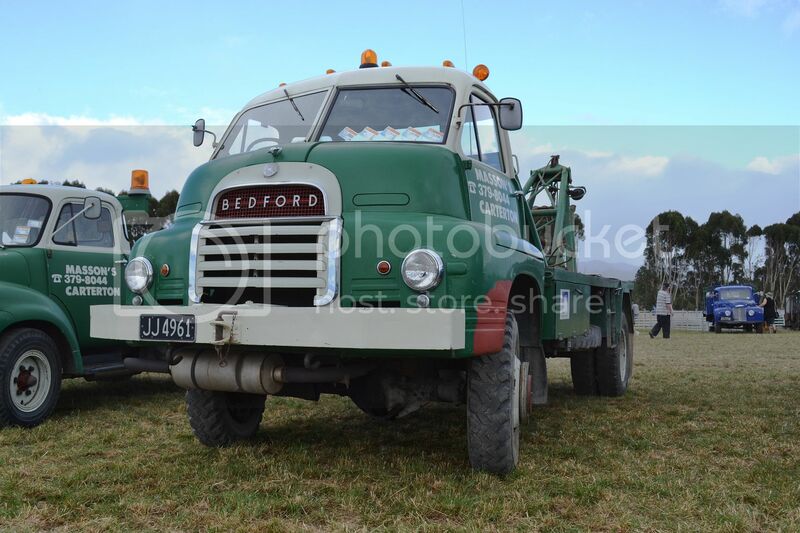 Masson's Bedford RL from the mid 1960s, still gets use when needed. 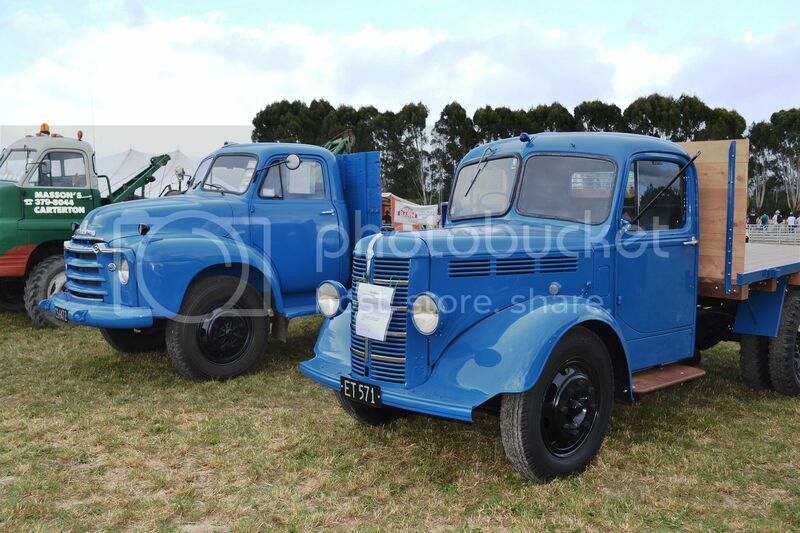 These two restored Bedfords appear to be from the same fleet. 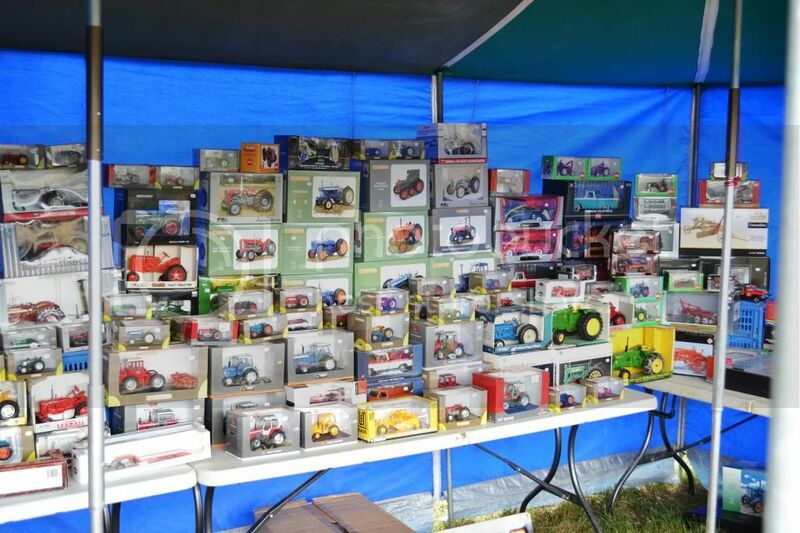 A fine selection of agricultural models to buy from The Model Barn. 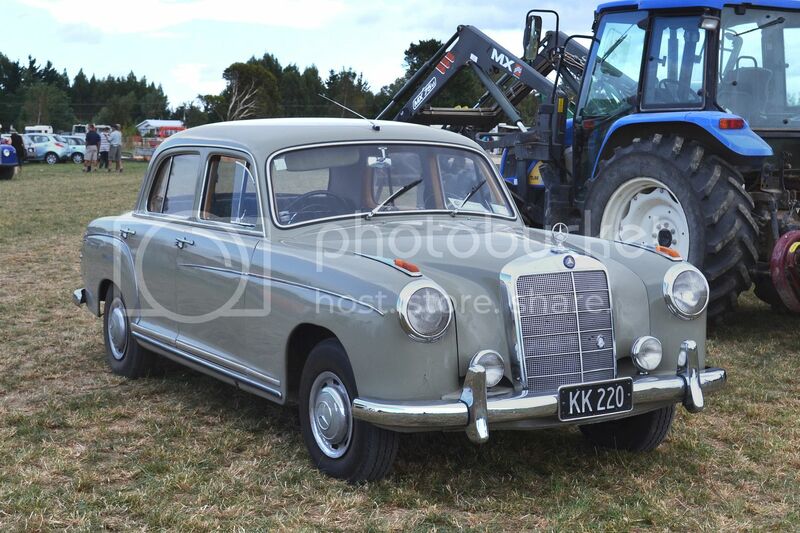 1958 Mercedes Benz 220s looks great in it's period beige. 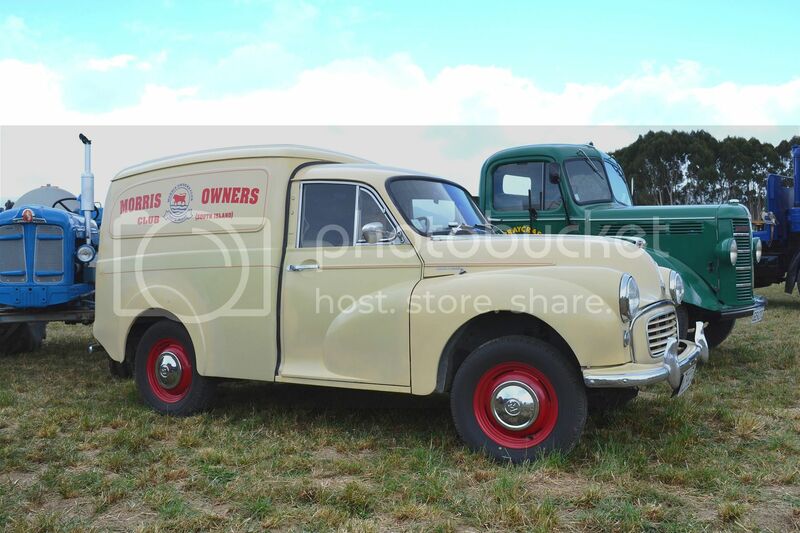 Morris Minor van in suitable signwriting. 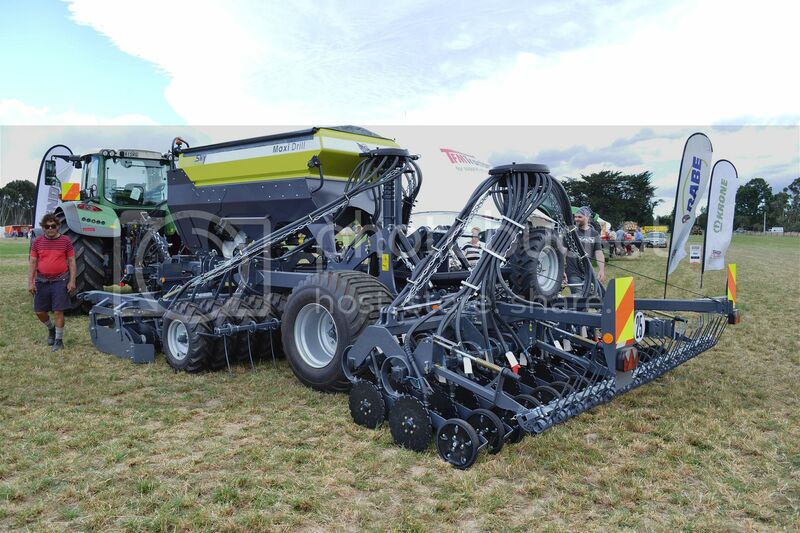 I don't know what it is, but it's for sale. I saw this postcard for sale on e-bay. 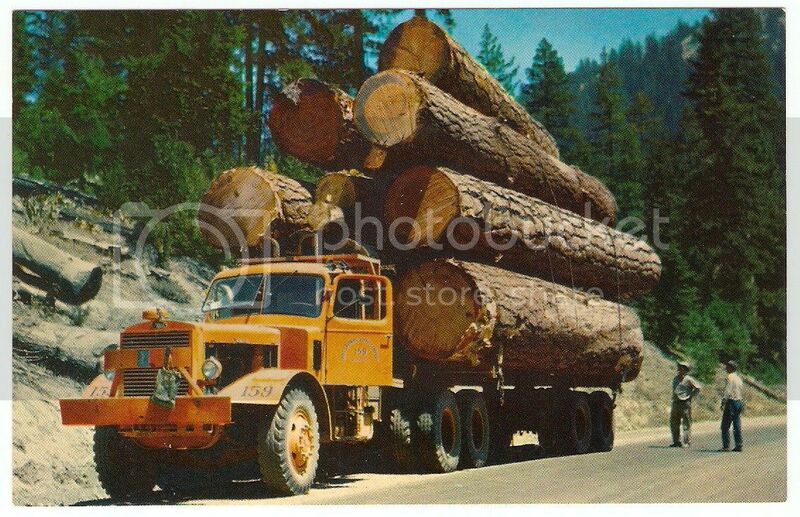 That's what I call a load of logs. 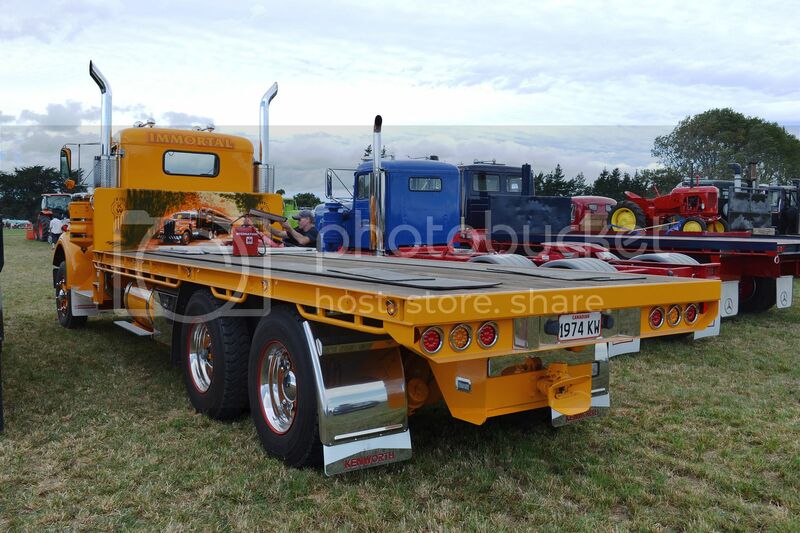 The truck is a Mack, with the offset cab. 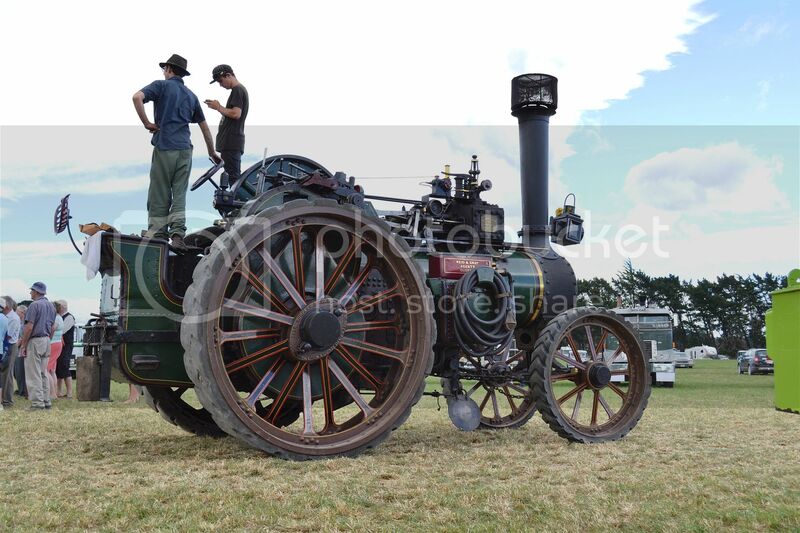 Here are a few recent snaps of various subjects. 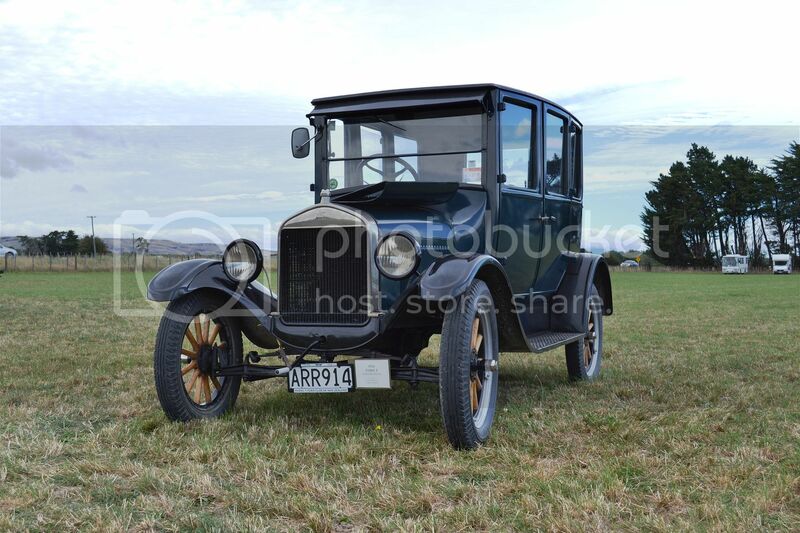 Last weekend we had a hot rod gathering in town. 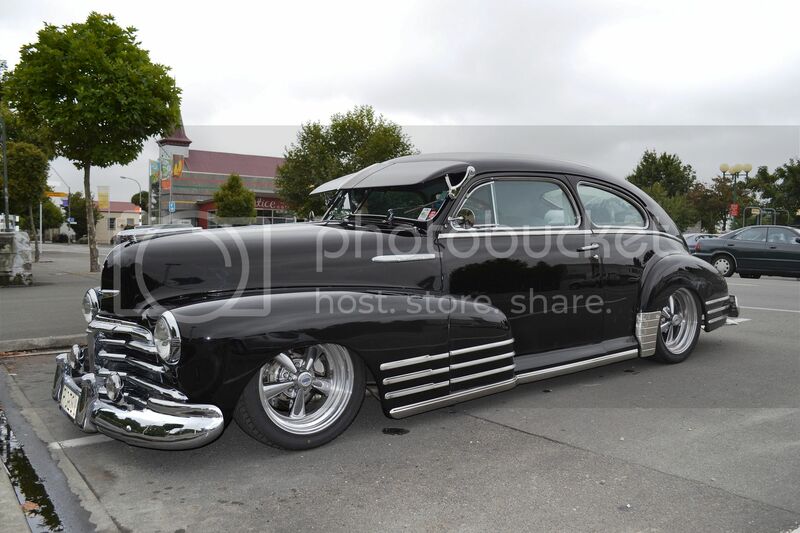 I didn't get to the official display, partly due to the weather, but I did snap this '48 Chev Fleetmaster Aero Sedan parked on the street. 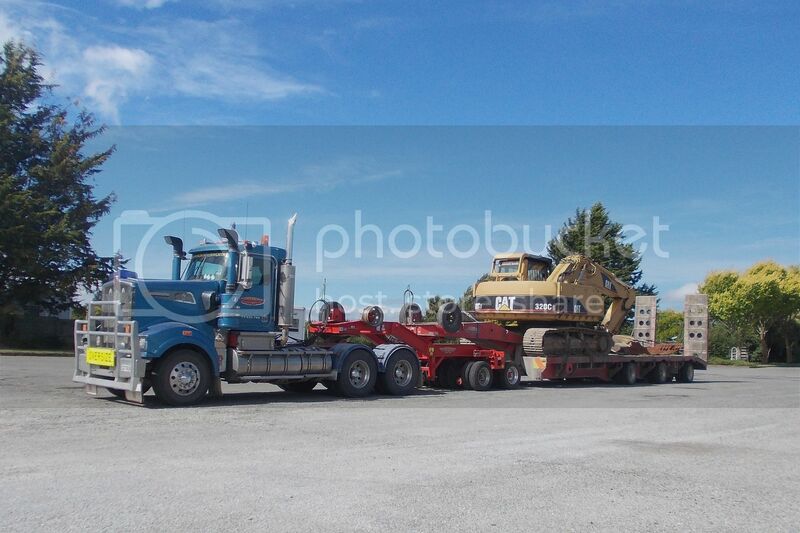 I've snapped one of Satherley's Kenworth before, but I'm sure another pic,with a load on, won't matter. 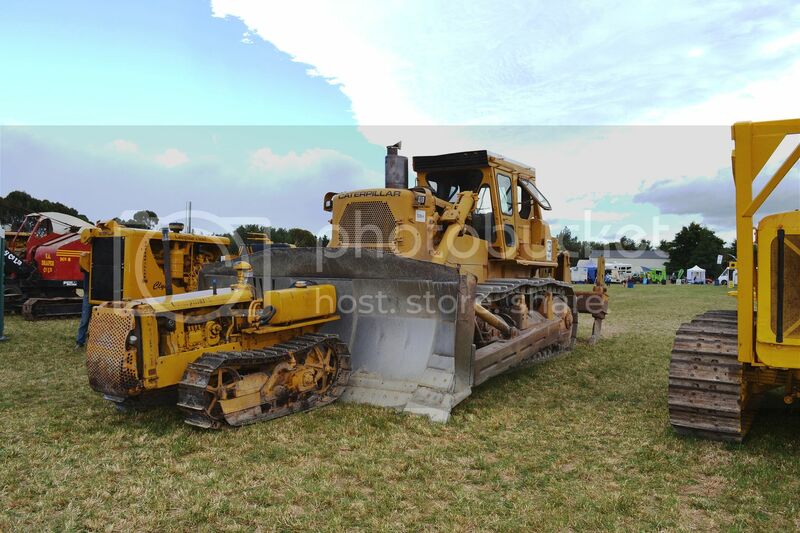 This is their 2009 T904. 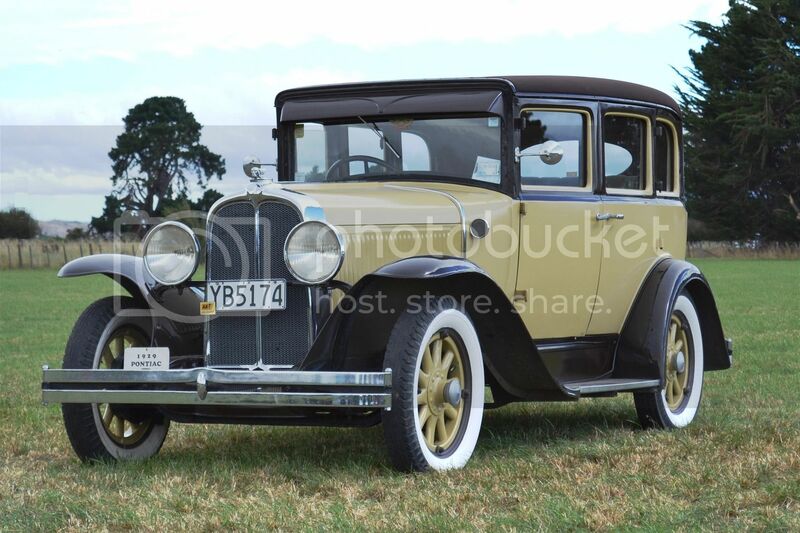 This Austin was parked in the yard of our local Holden/Suzuki dealer. It's actually the same age as me. 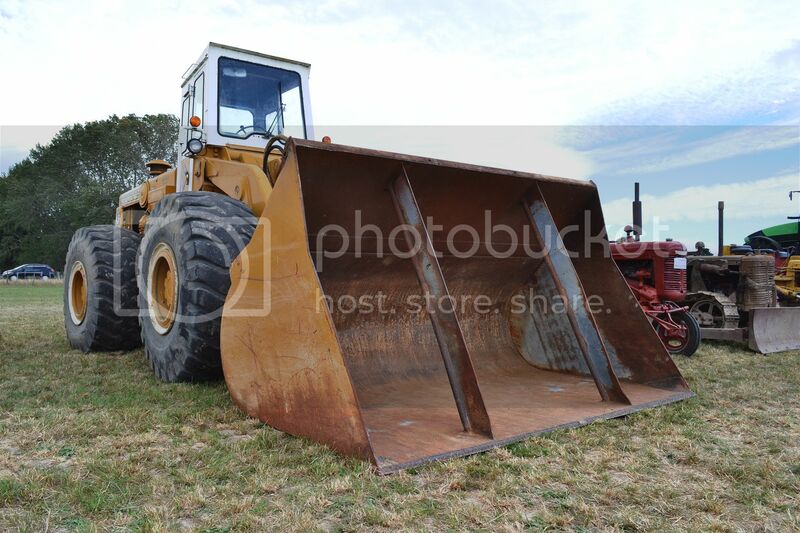 I will not accept comments on which is in better condition! 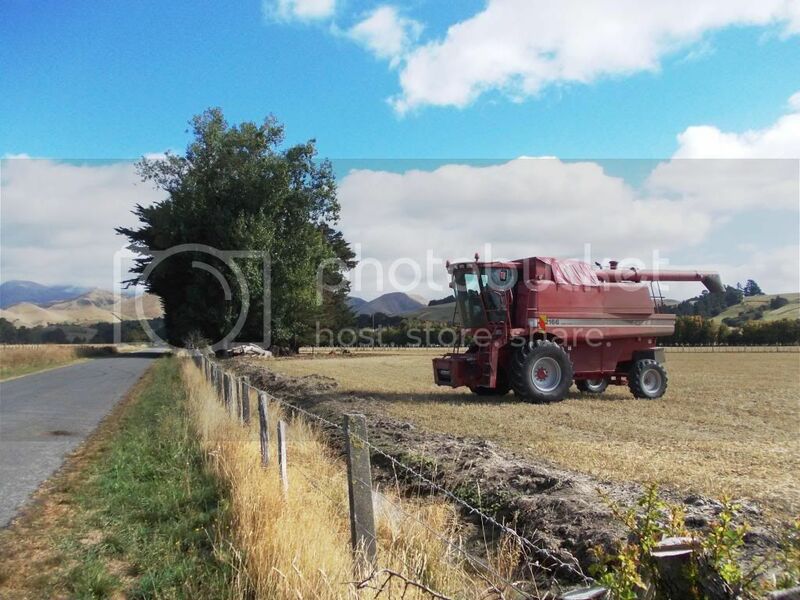 Snapped this in the country one day when driving the wheely bin truck. 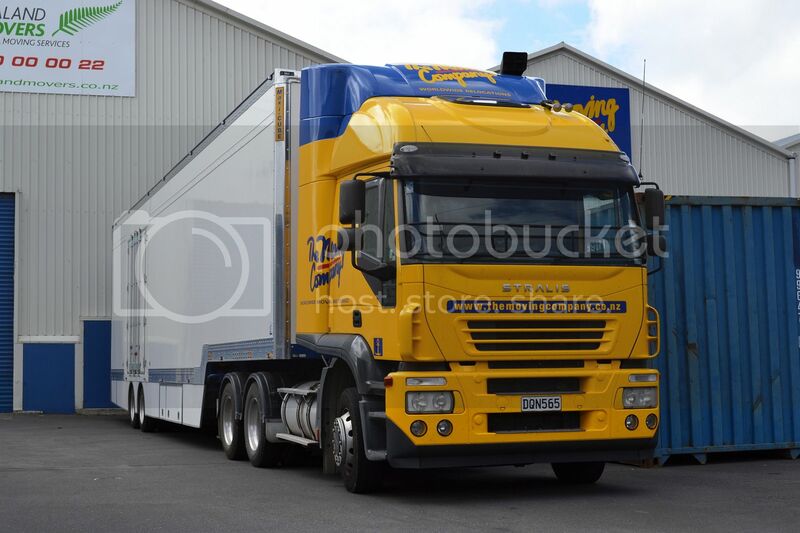 Nice bright IVECO Stralis of The Moving Company. 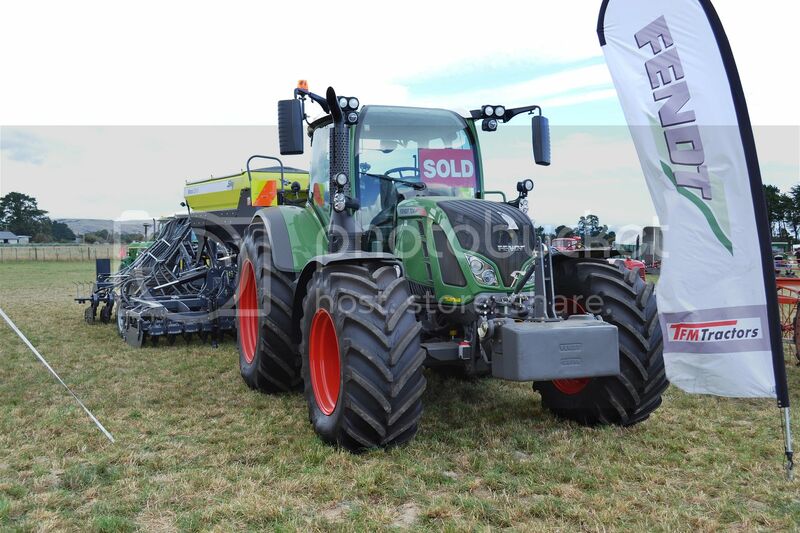 Looks quite new, but actually a 2006 model.